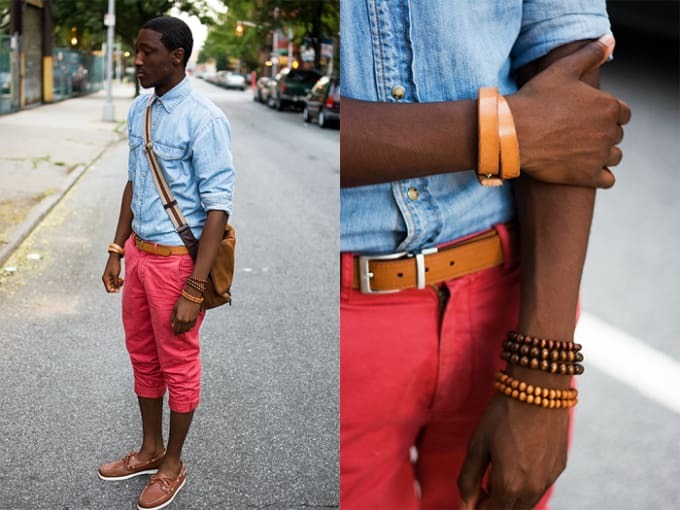 Earthy and masculine, beaded chains and bracelets made of gold and/or wood make great accessories. Wear just one to be subtle or pile a few on to stunt. Can't go wrong.